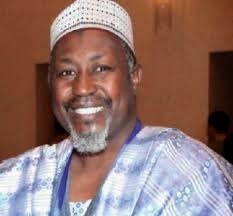 Alhaji Mohammed Abubakar Badaru- Governor of Jigawa State was Born in 1962 at Babura town in Jigawa State of Nigeria, Abubakar Badaru holds a B.Sc degree in Accounting from the famous Ahmadu Bello University (ABU) Zaria. He was the Chairman and Chief Executive Officer of Talamiz group, a conglomerate with vast interest in Automobile distribution, Logistics (including Maritime and Road Transport), Haulage, Real Estate and Manufacturing, Construction, Agriculture and Agro-allied, Commodity distribution. Alhaji Mohammed Abubakar Badaru was conferred with the National Honour of the member of the Order of the Niger(MON) by the President of the Federal Republic of Nigeria in recognition of his contribution to the socio-economic development of Nigeria. Again his contribution towards the development of his community in Jigawa State led to his conferment with the following traditional Titles: Sardauna of Ringim Emirate and the Wali of Jahun in Jigawa State. Alhaji Mohammed Abubakar Badaru contested for the Governorship in Jigawa state in the April 2015 elections under the Platform of the All Progressive Congress(APC) and won.